Our service range includes a wide range of articulated boom lift services, boom lift rental service, telescopic boom lift services and boom lift on hire. With an aim to meet the expectations of our prestigious patrons, we are engaged in offering reliable Articulated Boom Lift Services. In adherence to industry norms, our skilled professionals use ultra-modern tools and technology to execute these boom lift services smoothly. The provided boom lift services are praised in the market for their features like client-centric approach and reliability. 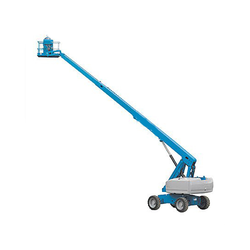 Moreover, these boom lift services are rendered at nominal prices. We have been able to attain strong market goodwill as a trusted organization engaged in offering our clients Boom Lift Rental Services. 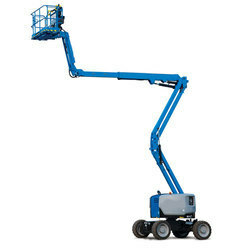 Boom lift is utilized to provide access and a safe working platform for elevated positions. We provide best quality boom lift to the dockyards, shipyards, and warehouses. Our equipment is well-maintained by following stringent safety standards ensuring that our clients enjoy complete peace of mind when they rent our equipment. 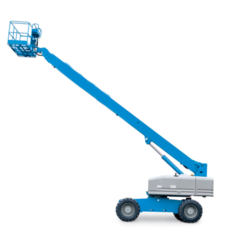 We offer these Boom Lift Rental Services at reasonable rates. We are one of the leading organizations engaged in providing services for Telescopic Boom Lift Services. The offered lift services are rendered by our experienced professionals using the latest technology in adherence with industry norms. While offering these lift services, our experts provide them in varied specifications and sizes so as to fulfill the needs of our customers. Besides, we offer these lift services to our clients at nominal prices. With years of experience in this domain, we are providing our clients with superior grade Boom Lift On Hire. Our proficient professionals offer this lift on hire to our clients by using advanced technology in adherence with industry standards. Illustrious for their client-centric approach and cost-effectiveness, this hiring service is rendered in varied places. Besides, clients can avail this hiring service from us in diversified specifications at pocket-friendly prices.